The Economy is an Ecosystem :: SANDERS RESEARCH ASSOCIATES LTD.
Metaphors are important even if they remain unstated. The modern conception of an economy is dominated by the theory of neoclassical economics, whose metaphor is hidden from view for a very good reason: the field would look ridiculous if its roots were front and center. But in the spirit of “Know the truth and it will set you free”, your humble correspondent will attempt to lay bare the foundation of neoclassical economics, and, after having done so, propose a more rational view of economic systems. The grand view of life on which neoclassical economics is based is as a system of pipes filled with gas or water. In fact, one of the giants of economics early in the 20th century, Irving Fisher of Yale, actually constructed a model of the economy which was simulated by a miniature plumbing system; his mentor was one of the pioneers of statistical mechanics. The reason for this peculiar metaphor is that such a conception allows for economists to excel in the application of the mathematical techniques used by physicists, and in particular, the methods of statistical mechanics. Much of modern neoclassical economics is based on the work of a French engineer Leon Walras. His General Equilibrium Theory is so important that most economic work must pass the test of being compatible with his theory. Walras, who wrote in the late 19th century, was fascinated by the reigning scientific theory of the day, statistical mechanics (he is said to have kept a copy of a mechanics textbook next to his bed at night). Even though Darwin had finally published his work on evolution, the “big thing” in science was physics, and the big thing in physics, besides the burgeoning field of electrical science, was statistical mechanics. Classical mechanics, developed by Isaac Newton, dealt with the interaction of two bodies with each other; it would take until far into the 20th century to use Newton’s theory to understand the interaction of even three bodies (i.e. “three body problem), and even now the math is very difficult. The beauty of statistical mechanics is that it is possible to deal with very large quantities of elements in a statistical manner, using linear algebra and systems of equations, and thereby predict the behavior of fluids such as water and gases such as air, which are made up of billions of molecules. 3) elements are not created, destroyed or changed into other kinds of elements, but stay constant. Just so, a competitive industry has many firms, they are assumed to be all the same, and though firms go into and out of existence, the capital that they use to produce their goods is assumed to be constant, and technology is assumed not to change. No set of firms serves any specific function. Neoclassical economics is able to use very powerful analytical tools for explaining behavior within competitive industrial sectors with no technological change. These analytical techniques are very effective in the short-term; calculus, after all, is a way to understand forces instantaneously, that is, practically without reference to time. In the grand scheme of general equilibrium theory, prices are all determined according to the various supply and demand factors spread throughout the economy, and prices are determined instantaneously. Time does not exist, technological change does not exist, and perhaps most surprisingly, capital, or at least fixed capital, does not exist. The existence of capital has always been a big problem in the field of economics. The “problem” with capital is that it makes more of itself – in other words, it breaks the assumptions of statistical mechanics, that elements are not created or destroyed. 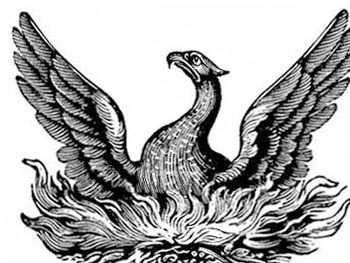 Capital reproduces itself – sort of like living things within ecosystems, in fact. Capital therefore inherently creates positive feedback loops – that is, the increase of something increases the chances that the thing will increase even further. But if you put positive feedback loops into a system of fluids or gases, you get what is called turbulence – and thus was born the field of “chaos” theory, or more properly, nonlinear dynamics, within the fields of physics and chemistry. But neoclassical economics is definitely not amenable to positive feedback loops. And so, if the choice is between throwing out neoclassical economic theory or capital, the choice is obvious – capital, be gone! can’t explain how the various industries in an economy fit together. Other than that, it’s a great theory. It can explain how and why prices change, within a particular competitive industry, in a very short period of time. As luck would have it, just as neoclassical economics was solidifying by using the cutting-edge of physics, physics passed economics by and embarked on the great period of the elaboration of the theories of relativity and quantum physics. By the late 20th century, biology had surpassed physics as the most important science – in other words, it got more funding – and ecosystem and evolutionary theory could not only incorporate phenomena like reproduction, change, and growth, these concepts became the very core of these sciences. 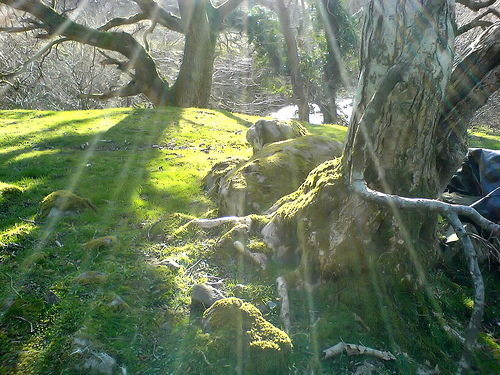 Ecosystems are not conceived of as a set of similar elements, they are modeled as a set of functional niches, a set of elements including climate, landscape, plants, animals or fungi, set within a complex whole. The pieces all fit together. There are not a large enough number of niches to enable the use of statistical methods. The largest aggregation of niches in an ecosystem are called trophic levels, which is a fancy way of saying that plants produce the main biomass of an ecosystem; herbivores (mainly) consume what the plants produce; and carnivores consume the herbivores (sometimes called secondary consumers). Finally, there are the detrivores such as worms, fungi and bacteria that break down the dead plant and animal life, and make the released resources available to the producers in the form of soil. Within each level there may be greater detail, such as the various parts of a tree, or depths in a lake or ocean, and these are considered separate niches. The species within a niche may change in the process of evolution, but the niche endures; the niches may eventually be reconfigured, but the ecosystem is sustained. Scientists studying the dynamics of ecosystems and species change do not dismiss change as in neoclassical economics, they spend most of their time trying to understand it. Each niche serves a particular function, and if enough of these functions collapse, the entire ecosystem will collapse. For instance, at one point killer whales had eliminated most sea otters from parts of the pacific northwest. Without sea otters to eat them, the sea urchin population exploded, almost eliminating the kelp forests that were critical to the survival of most species. Only by bringing the sea otter back from the brink was the ecosystem saved. E.O. 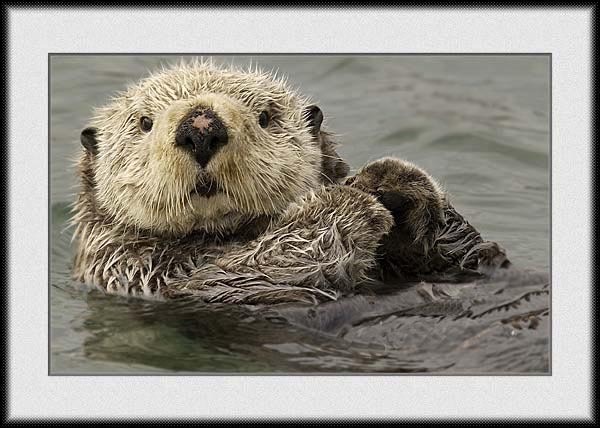 Wilson calls species such as the sea otter a keystone species, because some species are very central to the functioning of an ecosystem. For similar reasons, wolves have been reintroduced in parts of the American west, in order to keep deer under control that would otherwise devastate plant niches . Neoclassical economics cannot admit of concepts such as keystone species or self-reinforcing change or structure based on function. As I have argued on this site, manufacturing is an absolutely essential part of a modern wealthy economy. Manufacturing, it might be said, is like a keystone species. Without the functionality of manufacturing, the economy collapses. Manufacturing is actually more like a trophic level, that is, it is the main production subsystem of the larger system known as the economy. 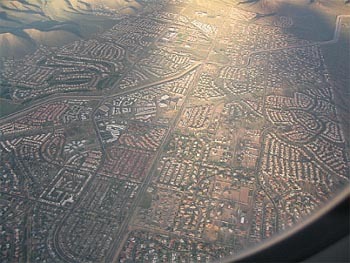 What is produced is then distributed, in what we may call a distribution system. In the distribution system of the economy we find retail, wholesale, services such as advertising, and perhaps most importantly, finance, which redirects the surplus generated by the production system. Services are almost always produced using or servicing goods, so the service sector of an economy may be seen as a level that both “consumes” (or uses) manufactured goods and produces services. Within manufacturing we can identify three further levels, or stages. The outermost stage is the arena of the production of consumer goods, such as cars or clothes. 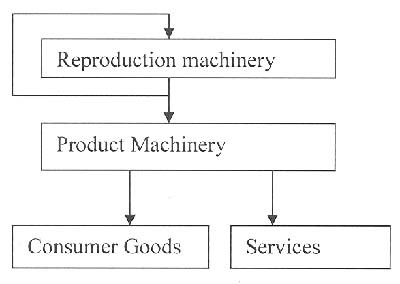 In order to create these consumer goods, production machinery must be produced; it is the production machinery that is used within a factory or construction site that makes consumer goods possible. 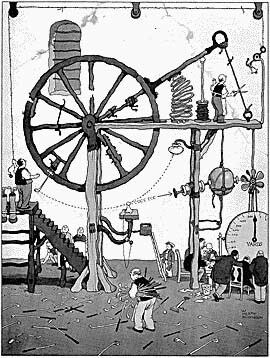 Finally, at the very center of the production system we have what I have called “reproduction machinery”, machines such as machine tools, steel-making machinery, electricity-producing turbines, and semiconductor-making machinery, that both make more of themselves and produce production machinery. Unlike General Equilibrium Theory, fixed capital – machinery, essentially – is at the heart of the economic system. Without all of these levels – distribution, services, consumer goods, production machinery, and reproduction machinery – a modern, wealthy economy would not be possible. The economy is an ecosystem, not a system of pipes. Each of these levels of production can also be divided into a category of production – a way of looking at each level to see what functions are served by various kinds of goods. 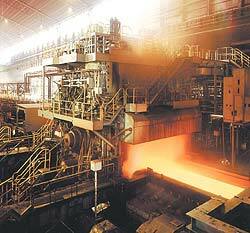 For instance, steel-making machinery is the most important way of creating a material. Creating a material – steel, cloth, wood, plastic – is essential to any manufacturing system. So a material-making function is a critical function. Once we have a material, that material must be shaped into something useful – an axle, wood part in a piece of furniture, shape of cloth – which is done by certain types of machinery, such as machine tools, woodworking machinery, or textile machinery. Just as the Greeks discussed form and content, so it is useful to talk about a structure-forming category of production and a material-making category of production. Metaphysics is also MetaEngineering. In order to create form and content, we need two other categories of production – information-processing and energy conversion . The “computer revolution”, and more recently, the internet boom, has contributed greatly to the productivity of manufacturing, in addition to retailing and searching. Without the widespread use of electricity, we would have a much lower standard of living, because manufacturing would be a much more difficult thing to do. Ideally, the raw materials of an industrial system should be almost free. Iron and silicon, the basis of steel and semiconductors, are both very abundant in the Earth’s crust. 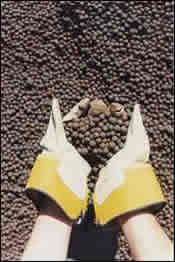 The category of material-making is often very dependent on much scarcer materials, however. As the recent rise in commodity prices indicates, we are coming to the end of the period when raw materials were cheap and easy to find. Indeed, considering that mining is one of the most environmentally destructive activities known to man or nature, the true costs of raw materials has never been ascertained by the market. However, we are now at the point that most steel is being recycled, and it should be possible to provide for most if not all raw materials through recycling from now on. Fossil fuels, on the other hand, can’t even be recycled. Assuming that replacing them with biofuels is problematic, the obvious solution is truly renewable energy, that is, using wind, solar power, and geothermal and water power as the energy source, and constructing machinery to capture these sources of energy. Humans should concentrate on what they are good at, creating machinery, not what they are bad at, managing resources. Because the energy sector, and to a lesser extent, the materials sector, are using up their own supply, the current global economic system is heading for collapse, just as any ecosystem that is using up the basis for its production would eventually collapse. Collapse is different than catastrophe, or as it has been termed in the literature, “release”; forest fires are part of the forest’s natural cycle, and indeed the forest ecosystem is dependent on occasional fires. Even a meteor hitting the Earth 65 million years ago wiped out niches that mammals, and eventually humans, were able to fill. But at least in the time period of centuries, when a formerly lush area turns to desert or rock, we may consider this as more or less a permanent collapse. And when an economy is based on fossil fuels then the disappearance of fossil fuels will mean the collapse of the industrial economic ecosystem. This collapse is a distinct possibility because humans have not learned to turn their industrial system into a cycle, as natural ecosystems do. The least heralded trophic level, the function served by the detrivores, has not been taken seriously. Even in beginning ecology lessons this literally lowly level may be ignored. But besides the natural solar energy, water, carbon, and nitrogen cycles, the detrivores provide the raw material on which ecosystems depend. Perhaps the meek shall yet inherit the earth, because worms certainly create the earth. Karl Marx famously predicted that a socialist mode of production would follow a capitalist mode of production. He based his historical progression on the relations of production, basically from slavery to capitalism to socialism. As I have argued in “Why a Democratic Economy would be a more efficient economy”, an essential characteristic of an efficient economy would be to create a society in which firms were operated and owned by their employees. But this would be one part of a wider transformation to a sustainable mode of production. I ndeed, as Dale Allen Pfeiffer points out in “Eating fossil fuels”, the main mode of production before fossil fuels was one of slavery, because without fossil fuels slavery is perhaps the only way to coax enough industrial energy out of humans to make industrial processes work. Perhaps Max Weber is partly correct to write of the capitalist spirit of Protestantism, and perhaps Marx is partly correct to explain the premodern precursors of capitalism. But capitalism was also made possible by fossil fuels because it made it possible to free up most human labor from what had previously been the need to provide the basic energy for the economic system. 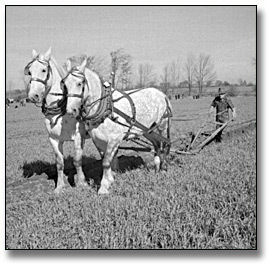 By 1870, when both American slavery and Russian serfdom had been destroyed, the fossil-fuel based industrial system was taking off. It is therefore scary to contemplate what mode of production might follow the decline and fall of fossil fuels, unless the industrial system becomes truly sustainable. There is a long history of the discussion of the ideas of man vs. nature, or man outside of nature, or man in nature. The first and second views (held by Marx, by the way), are breathtakingly ignorant (the more polite label is “cornucopian”). Obviously, if you run out of something, you can’t make anything that depends on that something. Or if you destroy the ecosystems that you depend on for your agriculture and cities, you can’t survive. But even the third view, that man is a part of nature, has tended not to view the industrial economy as being part of nature. Of course, the industrial economy has been the great destroyer of ecosystems, but this doesn’t mean that an industrial economy is not part of the ecosystem. After all, a volcano is part of the ecosystem (although in the long run volcanoes are responsible for much of the raw material of ecosystems, unlike industrial economies, which turn useful ecological material into useless ecological poisons). The preindustrial, indigenous peoples of the earth usually managed to live in relative harmony with their ecosystems. 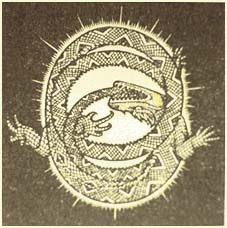 If the industrial ecosystem can manage to change from a linear sequence of mining, processing, and polluting, to a circular system of processing and recycling, if the snake can grab its own tail, to use a Native American image, then perhaps humanity can tread the Earth lightly, even with six billion people. The classic work on the statistical mechanical nature of economics is Philip Mirowski’s More heat than light , Cambridge University Press, 1989, from which many of the ideas of the first paragraphs were taken. Fixed capital was defined initially by Adam Smith as, basically, the means of production, that is, the plant and machinery that was fixed and used to make more wealth. Circulating capital, according to Smith, are the intermediate goods that exist within the market before the goods turn into final goods. Circulating capital, not fixed capital, is represented in the general equilibrium model. Joseph Schumpeter’s phrase, “creative destruction”, is constantly thrown around by economists, but it is the only major concept of his that they use, and it does not pervade the conceptual core of economics, which we are concerned with here. For a more detailed discussion of the problems of economics, growth, and capital, see my dissertation chapter on the subject, available at the following link . E. O. Wilson, The Diversity of Life , 1999. J. R. McNeill, Something New Under the Sun; an environmental history of the 20th century , 2001. Gunderson and Holling, Panarchy: Understanding transformations in human and natural systems , 2001.